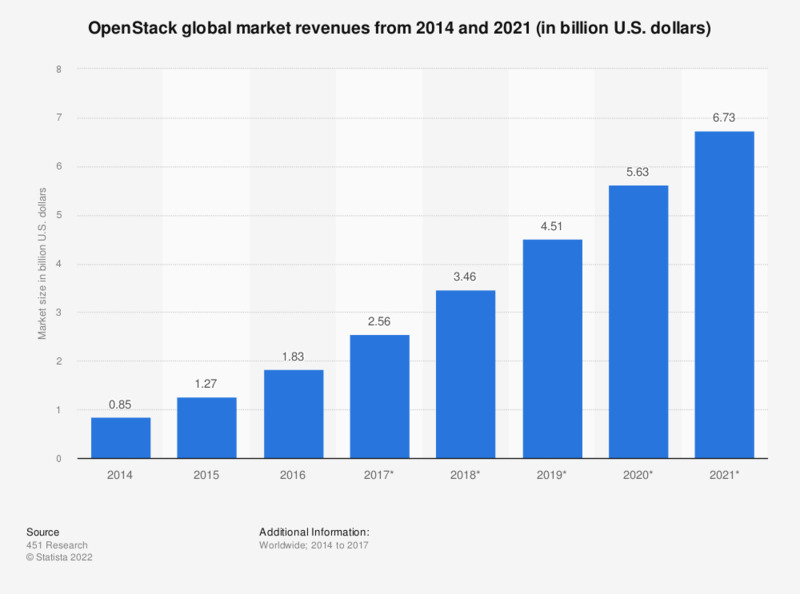 The statistic shows the size of the OpenStack market from 2014 to 2021. In 2018, the OpenStack market was expected to be worth 3.46 billion U.S. dollars. OpenStack is a cloud operating system, providing access to various computing resources, such as compute, storage, and network, across a data center. It is used primarily as Infrastructure as a Service. What business goals or objectives are driving investments for cloud initiatives at your organization? For the upcoming year, how do you predict your firm’s adoption of cloud-based solutions will change?